THERE’s no arguing with the fundamentals. Growing populations, reduction in arable land, changing dietary preferences, climate change and the escalating demands of emerging economies have placed food security at the top of the political as well as the economic agenda. World population is growing by some 75 million every year. By 2050 almost 9.3 billion people are expected to inhabit the earth. Food production will have to increase by almost 50 percent to feed them, and this means a huge global demand for fertilisers, already forecast to reach 190 million tonnes by 2016. The market for potassium fertilisers, or potash, is currently around 60 million tonnes. Demand is forecast to grow at approaching five percent per annum, much faster than nitrogen and phosphorus based fertilisers. It was this fact that attracted the attention of South Boulder Mines’ founder and Australian entrepreneur Liam Cornelius. 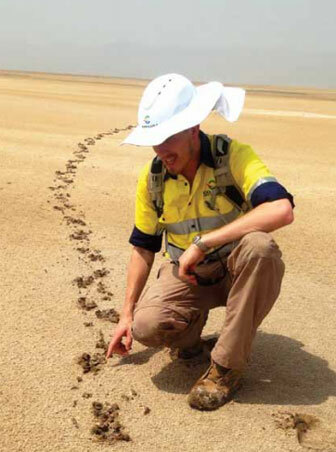 The ASX listed company he founded in 2003 had gold and nickel exploration interests, and in 2007 it acquired some tenements in the Pilbara region of Western Australia to gain an initial foothold in the potash market. Its focus on potash, however, was sharpened in 2009 when, following careful research into the characteristics of the Danakil Depression that straddles Ethiopia and Eritrea, it was granted exploration tenements for the Colluli concession in southern Eritrea. 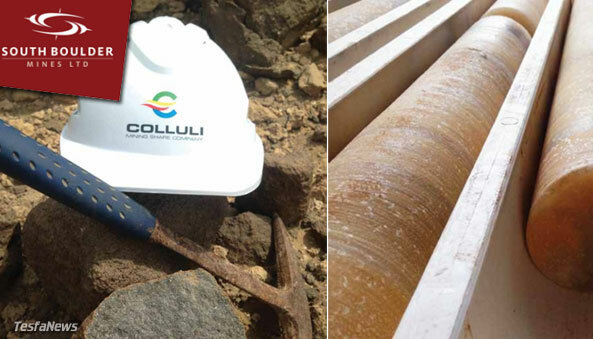 Colluli is an extensive, 400 square kilometre resource. Drilling that started in 2010 has established that it contains more than a billion tonnes of potassium bearing salts. Subsequent to this, the company set about disposing of its other assets, spinning out the gold and nickel tenements into a separate company, Duketon Mining, and putting all its efforts into developing Colluli. However, he felt the original plan did not take full advantage of the way the deposit is composed. “The strategy had been to build a flotation circuit, bring the top level sylvinite into production of potassium chloride and then deal with the ancillary polysulphate, carnallite and kainite resources at a later point,” he explains. “The problem with that approach was that top salt is only 16 percent of the resource. With a resource covering such a big land area, you could end up with very high mining costs. So the economics of the project did not look as attractive when potash prices declined back in early 2013.” At this point the company went through a restructuring from which Donaldson emerged as CEO from his Chief Operating Officer position, embarking on a new development path that involved full resource utilisation and at the same time shifting the production focus from potassium chloride to potassium sulphate. Though potassium chloride is in widespread demand, it is not suitable for every kind of crop. Potassium sulphate (referred to as Sulphate of Potash or SOP) is used in crops that are sensitive to chloride or fertiliser burn, like coffee, tobacco, pineapple, avocado and many other fruits, or where sulphur is deficient. “We found that the combination of salts that we had in the resource is highly favourable for the low cost production of potassium sulphate rather than potassium chloride,” he says. The bottom line is that potassium sulphate creates a premium potash fertiliser that sees a price premium in the market – and there are limited production centres globally. This is something that cannot be done by most other producers, since it is rare to have the right combination of salts in a single resource – and where that does happen the salts are usually held in brine, which contains about a tonne of water that has to be evaporated to obtain around five kilogrammes of potassium. Because the resource is so shallow, it can all be dug out and is immediately ready to enter the flotation circuit. This is another advantage Colluli has over kainite resources that occur deep underground. In those cases the only way to obtain it is solution mining, however kainite is difficult to dissolve and in these conditions requires either heat or a long period of saturation. Kainite represents approximately 60 percent of the Colluli resource with the remaining salts consisting of sylvinite and carnallitite which are commonly used for the production of potassium chloride. On this basis Colluli embarked on a completely new development path. The potassium chloride path was abandoned in favour of the premium product, though it always has the option to make the former in the future. Since one of the key differences of the Colluli resource relative to operations producing potassium sulphate from brines, is that the salts exist in solid form and therefore do not require evaporation to produce the feed for the processing plant, this substantially reduces the overall footprint required, reduces land disturbance and environmental impact, reduces the amount of double handling of raw materials, and most importantly gives reliability of product delivery, as production rates are not significantly impacted by ambient conditions. Salts from the Colluli resource will simply be mined, stockpiled to the allocated areas and fed directly to the processing plant. The change in approach has allowed the company to scale back its development plan radically, from $800 million to the anticipated region of $350 million. The operational costs and procurement strategy is being further refined, he says, to bring capital and operating costs down to a fundable level that mitigates the risks of safety in an emerging mining jurisdiction and balances capital outlay against resource risks, he adds. The resource is 180 kilometres from the well-established port of Massawa, a town of around 30,000 inhabitants which has four working berths handling bulk and container traffic. Massawa is connected to the country’s second port via a 500 kilometre coastal highway that runs south from Massawa to Assab the second port. The Red Sea is one of the world’s busiest shipping routes. Colluli’s planned ship loading facility at Anfile Bay provides deep water access suitable for loading up to Panamax size vessels. Massawa port itself is Eritrea’s primary import-export facility and will form a key part of the consumables supply chain for the Colluli operation. The port currently exports over 250,000 tonnes of copper concentrate from existing mining operations. Massawa also represents the local recruitment pool for Colluli. Employees will be bussed to the site. The resource itself is extremely flat and free of vegetation. Roads will be improved as the project progresses, says Donaldson. Generators are being used for the exploration work, however on-site power generation will have to be built for the plant construction and operational phases. Though it is an arid region, water should not be a problem, he believes. “The resource is 120 metres below sea level, and most of the process water is in fact seawater that we will pipe from the coast under gravity.” Fresh water for drinking and other purposes will probably require the installation of a solar desalination plant at the site, he adds. The partnership with a government ministry does a lot to take the risk out of the project, as it ensures full cooperation with permitting, access to the port and highway authorities and the many other official agencies that are involved. That is a factor in getting Colluli products to world markets with as little delay as possible. A pre-feasibility study (PFS) was initiated in May 2014 for the production of potassium sulphate from the various potassium bearing salts in the resource, and this is expected to be completed in early 2015, with the final definitive feasibility study (DFS) completed in the second half of 2015. Environmental studies supporting the project are well advanced. Eight baseline assessments were submitted to the Eritrean Ministry of Energy and Mines in August of this year as part of a three stage submission process to ensure sufficient time is allowed to address any concerns – though none are anticipated. “As soon as the PFS is finished we will start the process of obtaining funding and getting our mining licence established so we can get into production as fast as possible,” concludes Paul Donaldson.